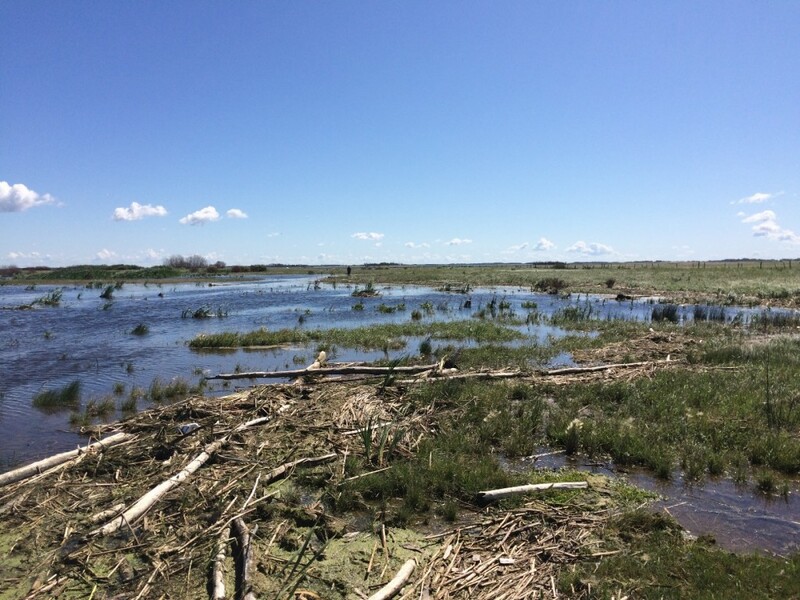 On July 30th, Ducks Unlimited staff notified the CWHC Western/Northern of dead waterfowl on the Quill Lakes in east central Saskatchewan. Western/Northern staff arrived the next day to investigate. Upon their arrival to the lakes, they noticed sick and dead birds along the shoreline, with live sick birds showing the characteristic signs of botulism toxicity including paralysis of the legs, wings and neck. The investigating team collected a number of samples for confirmatory testing. The Quill Lakes region is an important area for waterfowl which means that several hundred thousand birds inhabit the area at one time. This also means that outbreaks can kill several thousand birds in one season. Botulism is no stranger to the Prairie Provinces, and the Quill Lakes has a history of outbreaks dating back to reports in the 1970s. Unfortunately there is no easy solution to the outbreak. Botulism is caused by the bacteria Clostridium botulinum, which under the right conditions produces a highly potent neurotoxin. Outbreaks occur when carcasses decompose and maggots ingest the toxin. Live birds then feed on the maggots, become infected with the toxin, die, and the cycle continues. 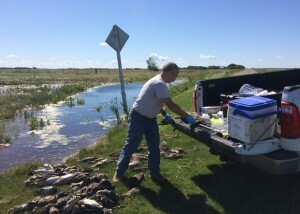 In the past, crews would try and clean up the carcasses to prevent the outbreaks from continuing. This method proved very expensive and ineffective because of the difficulty in removing enough carcasses to halt the cycle of contamination. If you see dead or dying birds, please contact CWHC Western/Northern at 306-966-5815 or notify your local Ministry of Environment office.